There are three new Quiet London books. In the volume “food and drink” there are lots of ‘new’ listings. 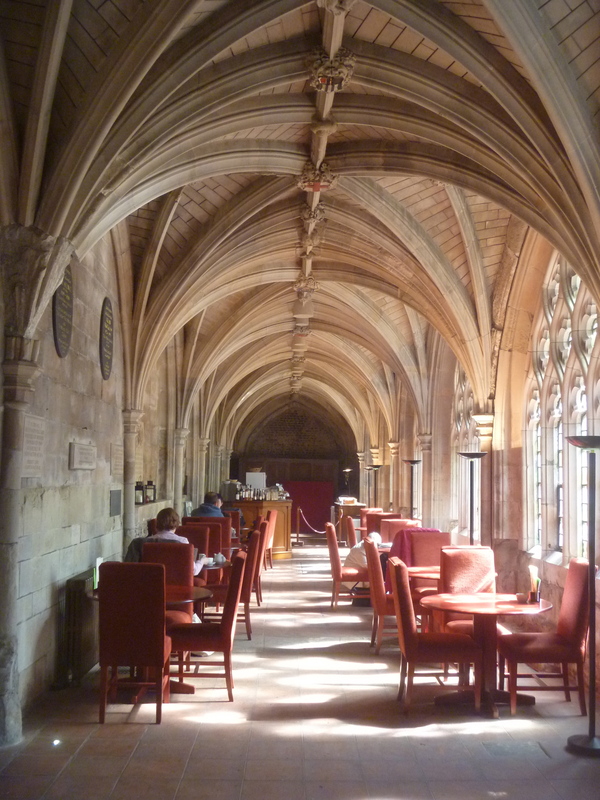 Flicking through I noticed that a cafe has now opened in the cloister of St Bartholomew The Great church, West Smithfield. Over the years I’ve stayed half a dozen times at 45A Cloth Fair one of three Landmark Trust properties in Central London. Last week a friend of mine was staying there and invited me to join her on Thursday afternoon. I travelled down that morning for a big event on Saturday (more later). We decided to try out the cafe and it was indeed quiet. But then it was a lovely warm day and there were plenty of people in the churchyard having their offices lunches in the sunshine. “Enter the beautiful Great St Bartholomew’s church by passing underneath the Elizabethan gatehouse” writes Siobhan Wall. This entry was posted in Milady in London and tagged Churches, London, Tea Shops, The Landmark Trust. Indeed! There was a lot more action in the nave where rehearsals for a play were being performed.